Project Backpack distributes age and gender appropriate backpacks containing necessities and comfort items to children (from birth to age 19) removed from their home in cases of domestic violence, neglect, natural disaster, homelessness, and other similar situations. Project Backpack is an all-volunteer organization. We have a warehouse in Bridgeton where we pack backpacks for children removed from their homes in cases of domestic violence, neglect, natural disaster, homelessness and other similar situations. 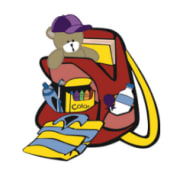 The backpacks are age and gender appropriate and contain necessities (think toiletries, diapers, underwear, shirts, socks) and comfort items like toys, books, schools supplies, stuffed animals, and seasonal items like scarves, gloves, sunglasses, baseball caps, etc. We distribute the backpacks by partnering with police departments, departments of family services and other not for profits that interact with the child at, or close to the time they are removed from their home. We invite the public to help us pack, and welcome brownie troops, scout groups, school groups, church/temple groups, employer groups, families and friends to schedule a packing session at the warehouse. PROJECT BACKPACK accepts donations. Donate Now. Would you recommend PROJECT BACKPACK?